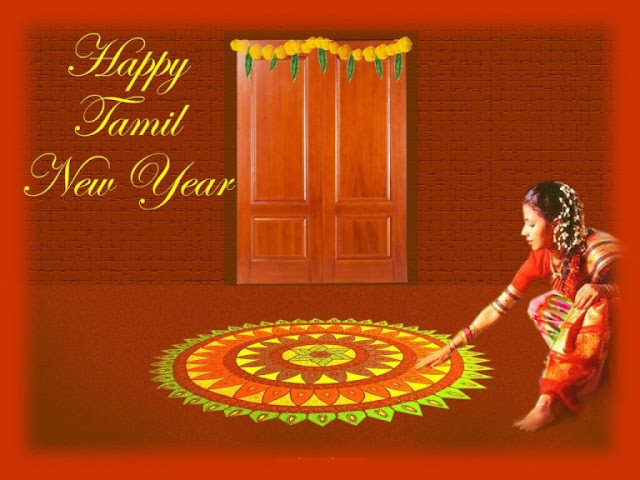 Happy Puthandu Tamil New Year Quotes: Tamil New Year is celebrated on the mark of popular known Puthandu or Varusha Pirappu, Which means as per the Hindu Solar Calendar Tamil New Year will appear on April 14th of this year. From this day traditional New Tamil calendar will be printed. As a common thing, we will greet each other on the New Year saying 'Puthundu Vazthukal' and few people will spend this day after preparing favorite dishes and sharing with nearby people and family members, visiting homes of near and dear ones and share these Tamil new Year Quotes and New Year Messages to everyone. On the Tamil New Year eve, Tamilians will decorate their homes with Kolam/Rangoli in front of the homes at corridor with a huge feast. Few will prepare Red milk rice mixed with sugar cane and sweetmeat. Elders will hand over money to their younger children as a token of good luck reached them on the first day of the New Year. We wish you a Happy Tamil New Year Wishes and hope it illuminates your life with new hope and inspiration. On the mark of the solar cycle, Tamil calendar counts sixty years cycle with comprised by twelve months. In general Tamil New Year is made after the vernal equinox which appears on April 14th according to the Gregorian year. On this special day all the Tamilians are called together all over the world to celebrate Tamil New Year, Lord Brahma creator of the world started creation from this day, On this occasion, people will exchanges greetings saying 'Puthandu Vazthukal'. The day begins with the view of 'kanji' at dawn with an expectation that New Year will bring luck to them throughout the year in the form of gold and silver jewelry, betel leaves, nuts, fruits and vegetables, flowers, raw rice, and coconuts. Later people will move to temple to pray the god and take blessings from him. Ipadi Pesama iruntha Epadi.Innum 3 days than iruku.Ada Yaravathu Aarambinga pa.Sari, Naney Aarambikiren. Let this new yearBegins with a lot of Hopes& Inspiration to you.Eniya Puthandu Vazthukal !!! 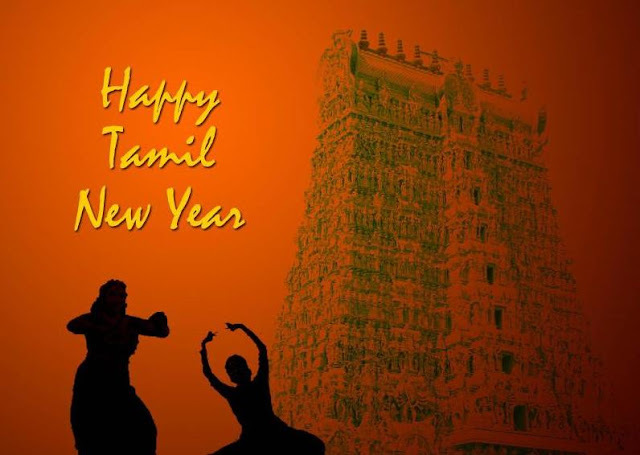 On this Tamil New Year,Wish you be showered withThe Divine blessings…Of happiness and ProsperityPuthandu Vazthukal !!! Let this Tamil New YearBrings lot of cheer, affluence and PeaceIn your life.May the Divine power gives you enoughStrength for tolerating highs and lows of lifeWith Calmness. Tamil New Year celebrations start with women after decorating their houses with 'kolam' designs in front of their doors and decorating homes with mango leaves. During this, The month of Chitthirai also witnesses the marriage of Goddess Meenakshi to Lord Sundereswarar, which is celebrated as Chitthirai Festival. Tamil New year festival also featured with 'Maanga Pachadi' which includes the different tastes like sweet, sour and bitter at the same time. This signifies the various aspects of our lives. Vettri’yai Virumbum NamakkuTholvi’yai Thaangum Manam Illai…!Tholvi’yai thaangum Manam irundhaal adhuvumOru Vettri’ dhaan.! Naam Santhippatharkku Pala 1000Nodikal Ahalaam!!!Aanaal!!! 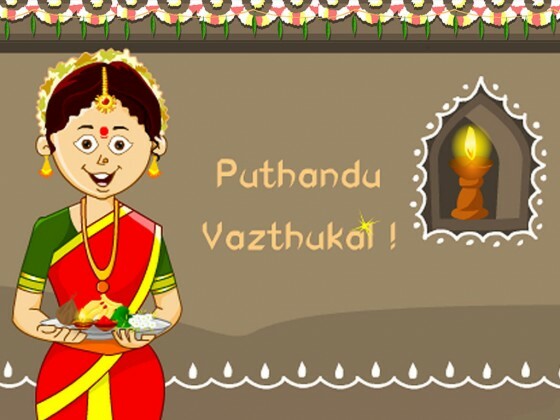 Puthandu Vazthukal to you and to your family. May you be blessed with true harmony, prosperity, and peace that comes from above. As another Puthandu approaches, I send my wishes for year-long happiness, prosperity, and success. Happy New Year! This New Year, may your family be blessed with overflowing fortune and joys! Iniya Tamizh Puthandu Nalvaazhthukkal! Every PASSING YEARReminds us that oneYEARis Lost in our lives. !But every NEW YEARGives Us, One More YEARto Hope for the BEST. !Hope You have theBest Year Ahead.! The Happiest PeopleDon’t Have Everythingin life.They just Keep CreatingSituations that BringHappiness Everyday…"
Puthandu Vazhtukal! Wish you a happy and prosperous new year filled with love, peace, hope and joy for the entire year ahead. Wishing you happiness and success in life for this 2016 New Year. 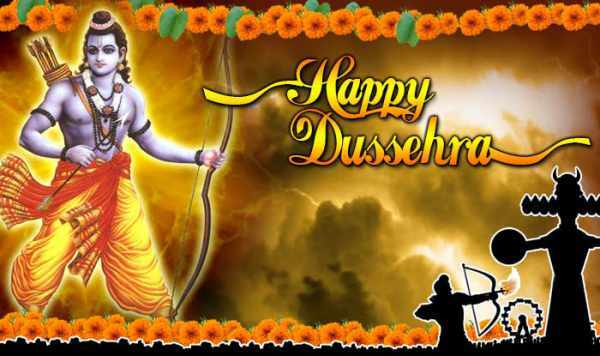 May God bless you. Not only in India but also in Malaysia and Singapore, Tamilians joins Sikhs, Malayalees, and Bengalis to celebrate this traditional festival in the mid-April month. Special programs will be held with cultural programs and media events will take place saying it is the festival of the Indian community. If you loved our post on Happy Puthandu Tamil New Year Quotes, You can go and use these New Year Wishes and share them with your friends on Whatsapp, Facebook, Twitter, Instagram and other social sharing platforms.